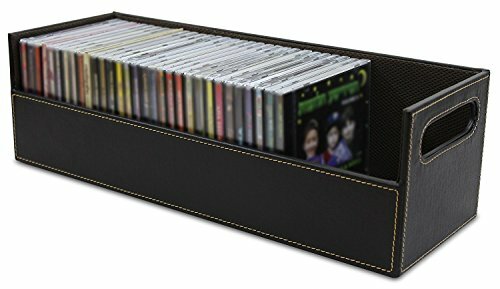 EASY ACCESS: Even when stacked, this CD organizer case is designed with reinforced handles so that each case is easily moved for easy access to every CD in your collection, making it one of the most versatile designs in CD storage furniture. SIZED RIGHT: At 17.5" x 6.2" x 5.6", this CD storage case is compact enough to fit in most spaces in your home, while still holding more than other CD storage containers. Packaging Dimensions: 17.75" x 6.75" x 5.75".